To be named the captain of an NHL team is an honor. 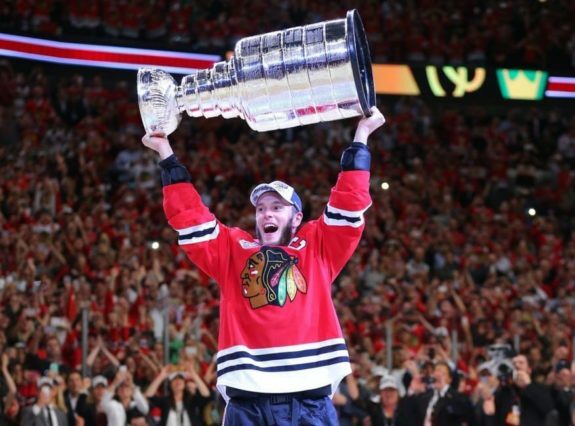 He is the first to hoist the Stanley Cup after a victory and is often the center of media attention. He is the one who interacts with the refs on the ice and is often the face of the organization. Every team has a captain, but not every team has a great captain. Some of the best players in the history of the NHL have worn a Blackhawks sweater, and some have had the honor of being named the captain of the team. Every captain has his own style, and there are several qualities that go into being a great captain. Everyone has their own opinion as to what makes a great captain. I believe that what makes a great captain is having strong leadership skills, the ability to make everyone else around him improve, and respect amongst the league. 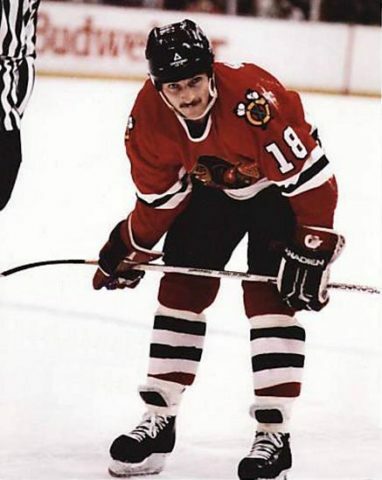 Serving as captain alongside Dirk Graham in the 1988-89 season, Savard is one of the most famous Hawks around. Although his only championship came when he was playing for the Montreal Canadiens, he’s remembered as a Hawk. Despite being captain for only a single season, Savard’s leadership left an impact on the Hawks and continued after his retirement. He was the head coach for a few seasons and remains a member of the franchise as a Blackhawks ambassador. Mikita’s is one of the few retired jerseys hanging in the United Center. Mikita is one of the most respected players to ever play the game, which is one of the many things that made him one of the best Blackhawks captains. Despite a short captaincy, he was a great leader for his entire career, leading to two Lady Byng trophies in his career for gentlemanly conduct. Other players followed his example as he played, making the Blackhawks one of the most respected teams of that era. One of the team’s unsung heroes, the Hawks never missed the playoffs during Graham’s seven-season captaincy. 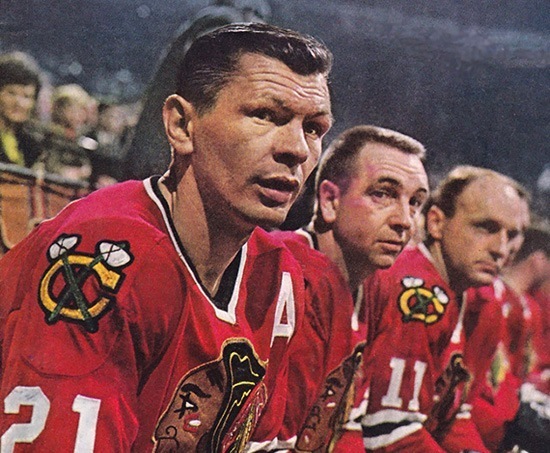 Ranked 59th on the list of the most important people in Blackhawks history by the Chicago Tribune, Joe Knowles describes him as, “one of the leaders of the team that reached the Cup final in ’92. Captain for seven seasons (’88-95) and head coach for part of another (’98-99).” Although he never won a Cup with the Hawks, he left his mark on the team by bringing them to a Cup Final and coaching the team for a year. It takes strong leadership skills to lead a team to a Stanley Cup Final, which Graham did in 1992. Despite being swept by the Penguins in the series, Graham’s legacy of leadership was cemented for leading the team to become Western Conference Champions that same year. Although in his 26-year career, most of Chelios’ success was outside of the Hawks organization, the defenseman left his mark on the team before they traded him to the Detroit Red Wings in the 1998-99 season. 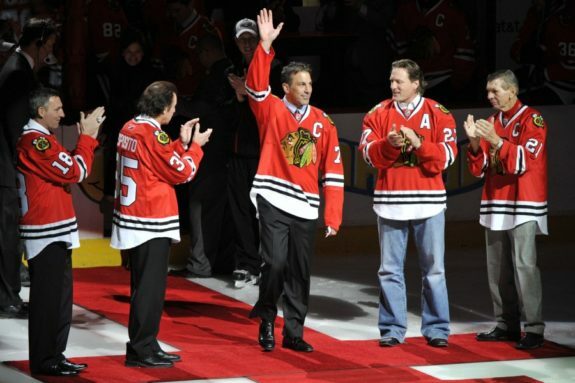 With Chelios as one of the few successful defensemen named an NHL captain, the Hawks made the playoffs three out of the five years of his captaincy. Regardless of the two missed seasons, Chelios was one of the greatest leaders and defensemen in franchise history. His legacy in the NHL was cemented when he was named as one of the top 100 players in the history of the NHL. What made Chelios a great captain was not only that he was a great leader, but he was widely respected throughout the league. He made the Hawks one of the best teams in the NHL in the 1990s before he was traded to the Wings. His trade in the 1998-99 season is often marked as the start of the Hawks’ rebuilding phase which eventually led to their three Stanley Cups in the 21st century alone. It’s not his point total that makes Toews so good, and so valuable. Even with 506 of them in just 565 games, that’s not why he’s considered by so many to be one of the two or three best players in the NHL. It’s his defense. It’s his savvy. It’s his prowess in the faceoff circle, in the corners, in his own zone. It’s his penalty killing and his power-play work. It’s his willingness to sacrifice his individual stats for team success. 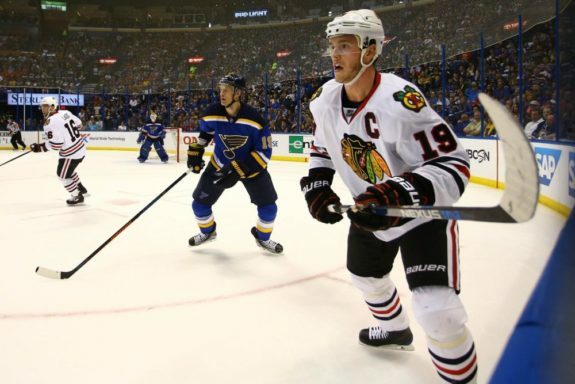 Like Lazerus, I and many others are of the opinion that this level of selflessness is what makes Toews a great captain and the epitome of strong leadership. He is often neck-and-neck with Sidney Crosby when the discussion of who is currently the best NHL captain comes up.